After years of success with the ST400 and HS1000 Nanovea has combined the two, meet the ST500 Profilometer, for requirements exceeding the ST400 but not quite that of the HS1000. 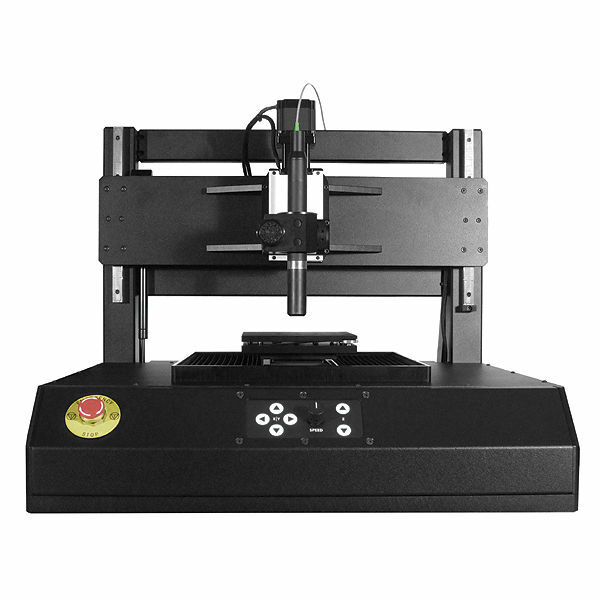 With a 50 mm Z axis the system can be equipped with either an optical pen or line sensor for ultra fast measurement (384,000 points per second). Unlike other technologies, each point is a direct, full depth of field during large area measurement without the need of refocusing. A video zoom camera can also be used to provide automated functions to large area measurement complete on a user friendly desktop platform.